There are now over 20 mass shootings that have happened during Obama’s presidency, more than under the four presidents preceding him as the chart from September 2013 shows, from The Wire. Only Clinton had a higher body count as of September 2013, but not as many mass shootings, until yesterday when four more people were shot dead at Fort Hood, which now brings Obama’s body count higher than Clintons, and the mass shooting incidents were already higher. 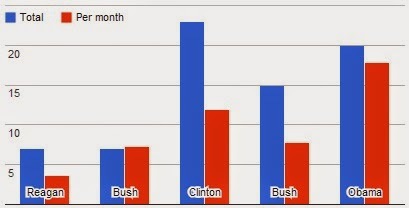 Obamas’s administration has seen more killings on a per-month basis than any of the four proceeding. In the video below AMTV’s Christopher Greene talks about the recent shooting at Fort Hood which killed 4 and wounded 16, and the fact that this is the second shooting at that very military facility during Obama’s presidency, as well as one mass shooting at the the Washington Naval Yard in September 2013. Greene also brings up the point I mentioned in an earlier article about how this once again has happened in a gun free zone, leaving the military members of Fort Hood helpless against a terror attack, forced to lock down the facility and hide! Many of these military members are trained in combat and could have possibly saved lives. 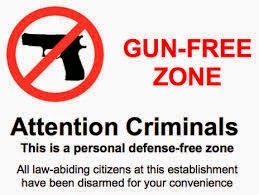 Obama does not talk about these mass shootings happening at gun free zones, nor the physcotropic drugs many of these active shooters are taking, because it does not fit Obama’s agenda. That and much more is covered in the short video below.